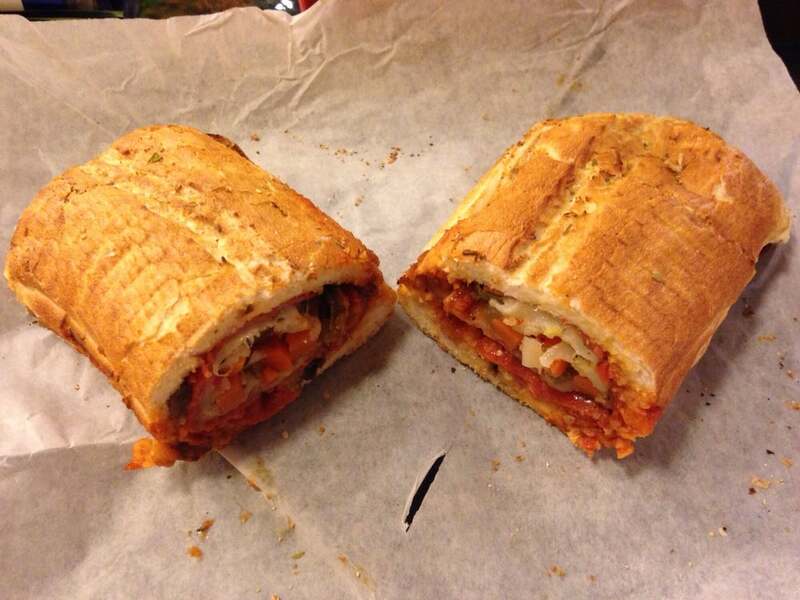 Say, has anyone ever been to either Mod Pizza or PotBelly Sub Shop? they are going to open them in the oldPeter Piper Pizza in front of the Home Depot in Live Oak at the Forum. Has anyone tired them, and if so,are they any good at all? Interesting that you brought this up...according to the MOD Pizza website there's a future location not too far from my workplace, and it looks like it'll be in the same building as an already established Panera Bread. They just opened a Mod here in Gahanna. The locals like it. It must be horrible. 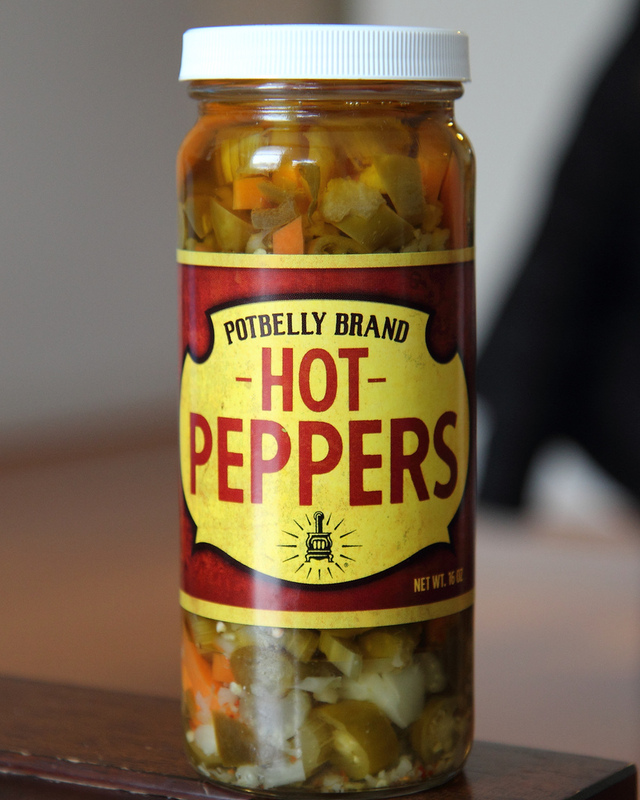 I like Potbelly - definitely worth a try if they're new to you. I'd start with what's arguably their best offering, the Pizza Sandwich, which has pepperoni, meatballs, capicola, marinara, provolone, shrooms, and some kind of Italian seasoning. I always get it with their giardiniera. Their giardiniera is one of the better ones I've had (and, it seems, stacks up well against some serious contenders); from what I can tell, it's also the only readily available Chicago-style giardiniera in my area. Worth picking up a jar, for sure. Don't know much about Mod Pizza. 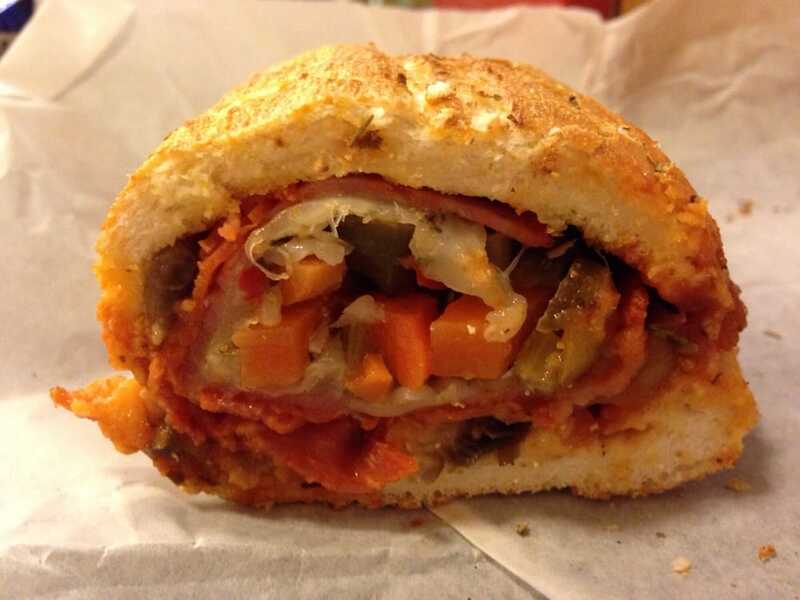 Potbelly, OTOH, is a Chicago born and bred institution. They started out in the late '70s as an antique shop in the trendy Lincoln Park neighborhood. The sandwich business was little more than a side project until people started lining up to get fed while ignoring the antiques. The original owners were bought out in 1996. The new owner focused on the food, while leaving the antiques in place as decor, rather than profit center. That new owner is responsible for the nationwide spread of Potbelly. You can get more details here. Bottom line on quality: Better than Subway, not as good as the neighborhood Italian/Jewish/German Deli (assuming you have one) down the block. In a land where I have Franklin Giant Grinder, Carbone's Market, and Wethersfield Pizza House available to me, Potbelly's stands out as the only sandwich chain that I'm willing to patronize. They're quality. Hmm. I ate at one years ago when they first moved into the Cincinnati area and had just the opposite opinion with a sandwich which was made on a store bought hoagie roll. Maybe they've changed since my first and last visit. We have a MOD in Cincinnati very near to where I work. Not very good. I do not like pot belly. Never been to a Pot Belly, but Mod Pizza has three locations now within 20 minutes or so of our place....We have been there a couple times. Not bad for a quick lunch, but certainly not memorable or worth a detour. Basically, it's a fast casual concept for pizza and salads like Qdoba or Chipotle are for TexMex. You stand in line and order while they assemble things to your liking, then they cook it up, you return and pay, collect your food and eat. It's interesting because your salad or pizza pricing is based only on the size and you pick whatever you want from the toppings, all for one price, again, just depending on size. My teenagers like it, as they can get their own pizza for about $8 plus a drink with whatever toppings they want. The pizza is thin crust, again, with a mind boggling variety of topping choices, mix or match, then cooked quickly in a brick type oven. Salads are fresh. The quality? OK, but again, fine for a quick lunch. Never heard of Mod Pizza, but I went to a Pot Belly for the first time this summer and if it wasn't clear on the other end of town I'd probably go back. The bread was fresh (probably not baked on site, but definitely baked that morning), the ingredients were of a quality and quantity that was better than expected for the price, and best of all, when I asked for fresh avocado he reached into the box of them behind him, lightly squeezed all of them, then turned to me and apologized, but none of the ones he had were quite ripe. He also said if I really wanted it he'd be happy to slice one and add it to my sandwich, but he wouldn't recommend it because it wouldn't be as good as it should be. Bottom line, I had no idea they were a chain, and was surprised to find out they were. And to find a fast food chain that not only slices fresh avocado in front of you when you ask for it (as opposed to Subway, where they give you some kind of mashed thing I'm not convinced didn't come out of the freezer), but has an employee who can tell if said avocado is fresh, is unheard of. I just finished my first MOD pizza and it was certainly fine for lunch. I chose the 11" Mega Dough version, which has twice the dough than the same size thin crust pizza, and at $10.41 for 4 toppings I can't complain about the value. The pizzas are cooked in an open flame (gas), stone deck oven and the crust picked up some nice char. We've been to Pot Belly a few times. They're one of the few local chain places that make sizable salads for those of us doing the diet thing. Their salads are pretty good and my kids like their sandwiches, unfortunately our location has a penchant for screwing up orders and making me take a trip back there for them to fix their screwups. We've been taking a break from them, hoping they'll go through a personnel change and improve the service a bit. Went to PB for first time last week, there are 2-3 in the city I think. I had a Med with chicken and enjoyed it. The choices they had for chips were not attractive, but the iced tea was tops. I'll go again and try either the Wreck or the Pizza. Haven't tried Mod Pizza yet, but agree with Buddy on Potbelly. They recently opened a MOD location near where I work. I've tried it a couple of times and give it the same assessment as Potbelly: Decent value and better quality than the national chains (Domino's, Little Caesar's, etc.) but not even close to an independently run neighborhood operation. I haven't been to Potbelly in years and i think I've only been in an airport but I do recall liking the breakfast sandwiches. I recall the bread being somewhat crispy and them putting lettuce tomato and mayo on the breakfast sandwich which I wasn't sure about but ended up liking. I have not been to Mod's pizza but there are several identical places like that around now (Chipotle style for pizza). I've been to two of them - Blaze which I thought was ok and Pizza Cucinova which I would definitely go back to for a quick lunch. It's the fancy upgrade for the Sbarro brand (not a fan of their original stores). Started with two here in a Columbus and looks they are now expanding. When you live in The New York Metropolitan area,there is NO need for gimmick pizza joints,or fast food chain pizza. Luckily we are in the pizza heaven of the USA and get the real thing and pizza quality for a good price,better than chains and gimmicks!!! Makes me wonder why you chose to participate in the thread then. Yet another opportunity to show superiority in your region I guess. Nice job. Simple...curiosity....love to talk pizza. Did not know what Mod pizza was.From this thread,looked it up. Did not like what I saw and got in on the discussion and made a statement! Also love subs, and that was a part of the thread. So wonder no more. I guess the 29 Sbarro locations in and around NYC don't count. Don't worry, I'm not here to pick on you. I often wonder the same thing about Mexican food here in Chicago. We've got every kind of Mexican restaurant you can think of, from simple Taquerias to fine dining white table cloth operations. There's a Mexican joint, run by actual Mexicans, practically on every block throughout the city and suburbs, and yet Taco Bell and Chipotle thrive here. Same thing with Pizza and Hamburgers. We've got first class Pizza; pan, thin crust, and stuffed; available from thousands of family owned places all over the metro area. Somehow all the major national chains are still here, serving up the same generic cardboard crust junk, and there's no shortage of people willing to subject themselves to it. Like Mexican, there's an independently run Hot Dog joint on every corner in this town; almost all of them serving up a better Burger than McD, BK, or the little red headed girl. Not just better, but competitively priced, so no significant franchise advantage there. But the uninformed masses line up daily for assembly line mediocrity instead of supporting a local business, frequently run by a local family. I'd say there's no explanation for it, but there is. It's a powerful combination of advertising and faux pricing deals appealing to that large segment of the population that fears anything new or different. They want the assured safe consistency of the national chains. The belief that a Big Mac will taste the same, whether you get it in Virginia or New Mexico, is a big draw for many people. You're so right buddy. I don't get it either. We have over 100 great Italian pizza places here in town, yet also a Pizza Hut, several dominos and even a Papa John's...and people frequent them. My sister in the South west has tons of GREAT Mexican places,but,like you said,people there still go to Taco Bell. The power of advertising? Maybe. Young generations having grown up with them? Maybe...Whoknows. Maybe fellow Roadfooders can solve this!! !